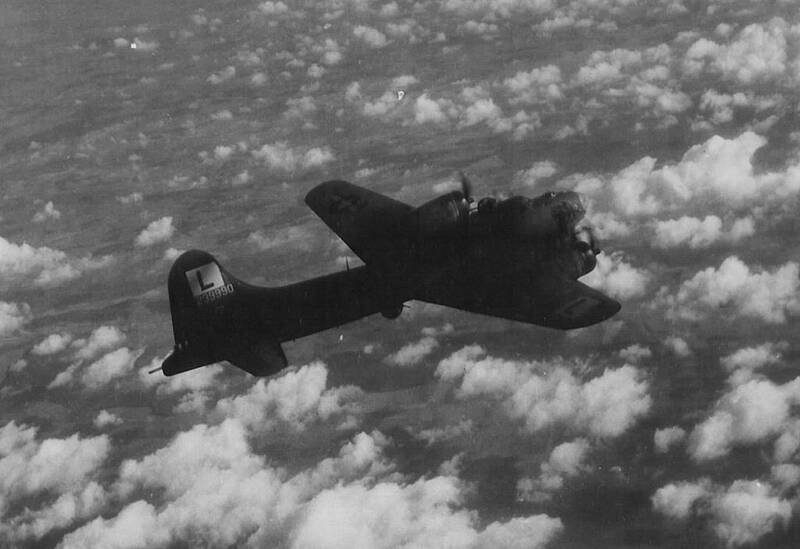 Delivered Long Beach 27/10/43; Walla Walla 10/11/43; Assigned 730BS/452BG [6K-Z] Deopham Green 3/1/44; Missing in Action Berlin 19/5/44 with Steve Gaal, Co-pilot: Don Blust, Navigator: Les Roewar, Bombardier: Bob Stewart, Flight engineer/top turret gunner: Don Ledwick, Radio Operator: Les Hardie, Ball turret gunner: Ralph Pharris, Waist gunner: Burrell Shaw, Waist gunner: John Wrona,Tail gunner: Angelo Bellissimo (10 Prisoner of War); flak, crashed Althuttendorf, 34 miles N of Berlin, Ger. Missing Air Crew Report 4958. JUNIOR.